The choice of hotels in Sakon Nakhon is fairly limited and the Imperial Sakon Hotel is one of better options. 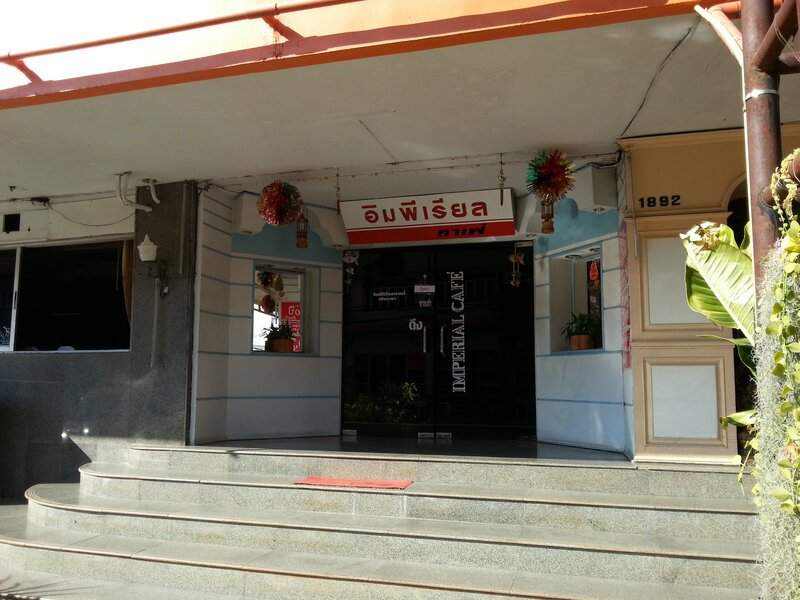 Sakon Nakhon has some interesting places to visit but not many tourists, especially foreign tourists, stay the night here and this has a detrimental effect on the local hotel scene. If you come to stay in Sakon Nakhon it’s a good idea to lower your expectations so as to avoid disappointment. 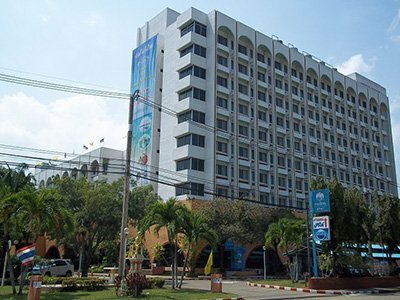 If you want really good accommodation then go to stay in Udon Thani. 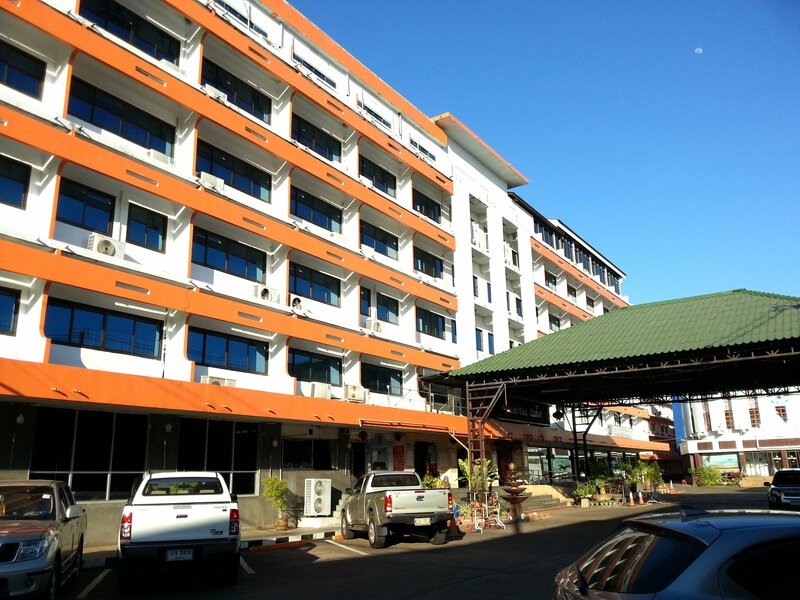 The Imperial Sakon Hotel has a very central location in Sakon Nakhon on the Suk Kasem Road, which is the main road in the town near to Big C Supermarket and some of the best restaurants in the area. 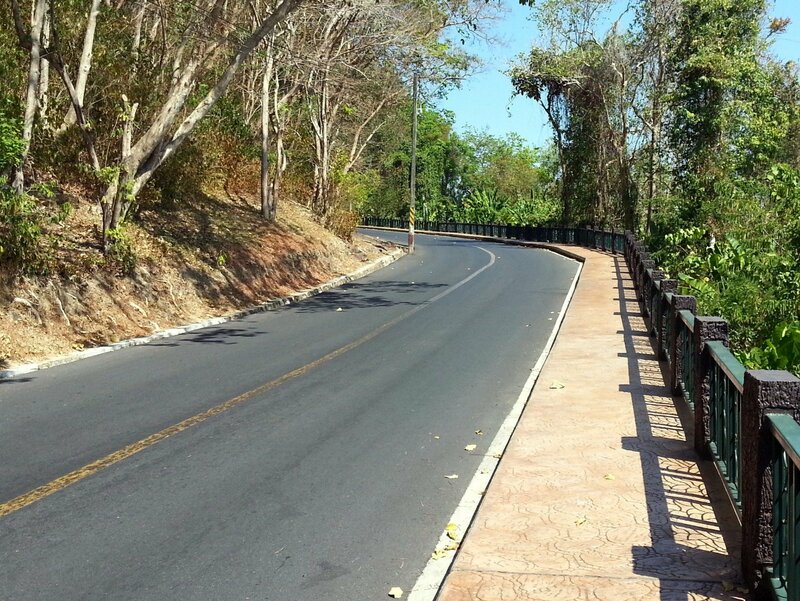 The Imperial Sakon Hotel is also a 1.4 km walk from Wat Phra That Choeng Chum, which is the major local tourist attraction, and a 1.5 km walk in the other direction from Wat Pha Suttawas, which is the second most visited place in Sakon Nakhon. The Imperial Sakon Hotel is also good value for money. Booked online a standard room costs 450 THB a night. That’s cheap rate for an air-conditioned hotel room in the centre of a large town in Thailand. 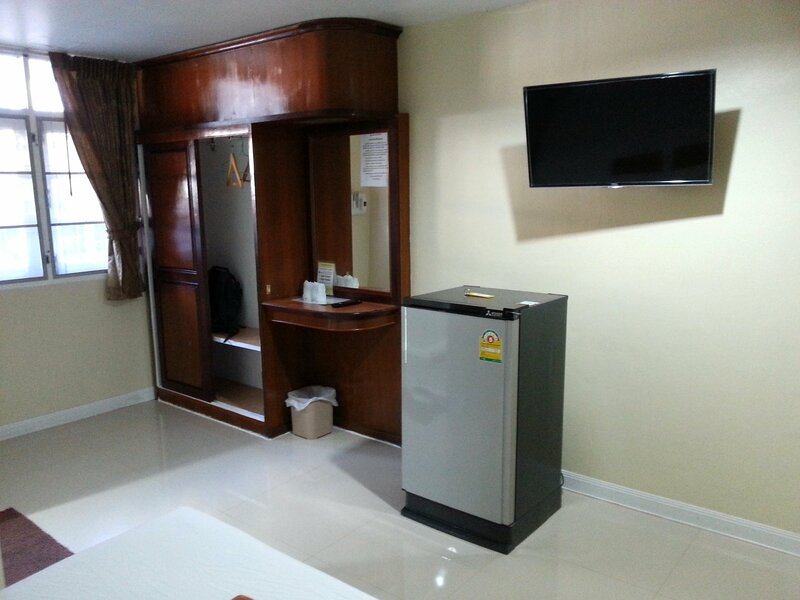 Moreover, the room standard is no worse than other nearby hotels which charge a fair bit more per night. The Imperial Sakon Hotel has a lot of rooms, 234 in fact, and they sell them cheap to fill this massive hotel. The prices do go up at busy times, such as during the Wax Castle Festival in October, but for the rest of year the room prices are kept low to keep the occupancy rates up. The hotel appears to turn a profit on catering large for large events like weddings and the accommodation side of the business is less important to their bottom line. The service is good at the Imperial Sakon Hotel. The reception staff are helpful, friendly and speak English to a reasonable standard. 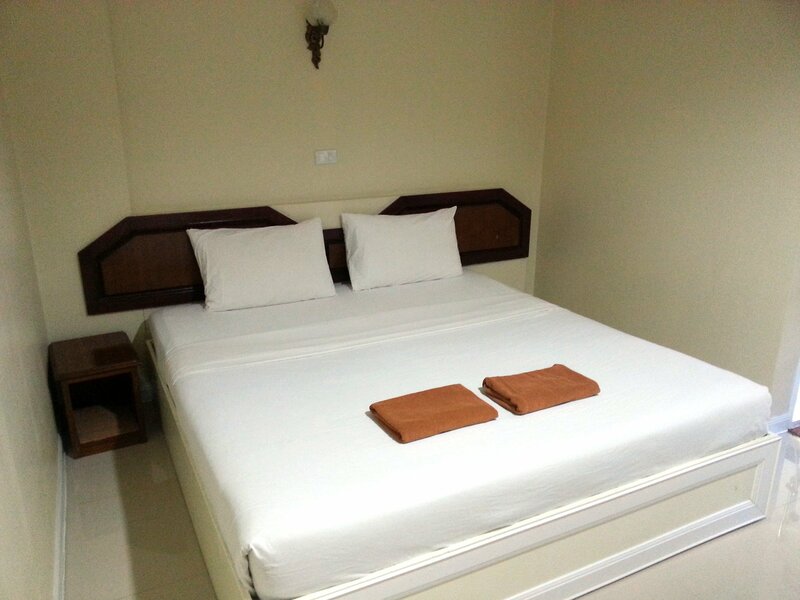 The rooms are cleaned daily and the hotel is generally in a good condition. The beds at the Imperial Sakon Hotel are comfortable and I got a good night’s sleep. My only slight complaint is that my room was on the ground floor where all the staff facilities are located and there was a fair bit of noise outside the room from 06:30 onward. 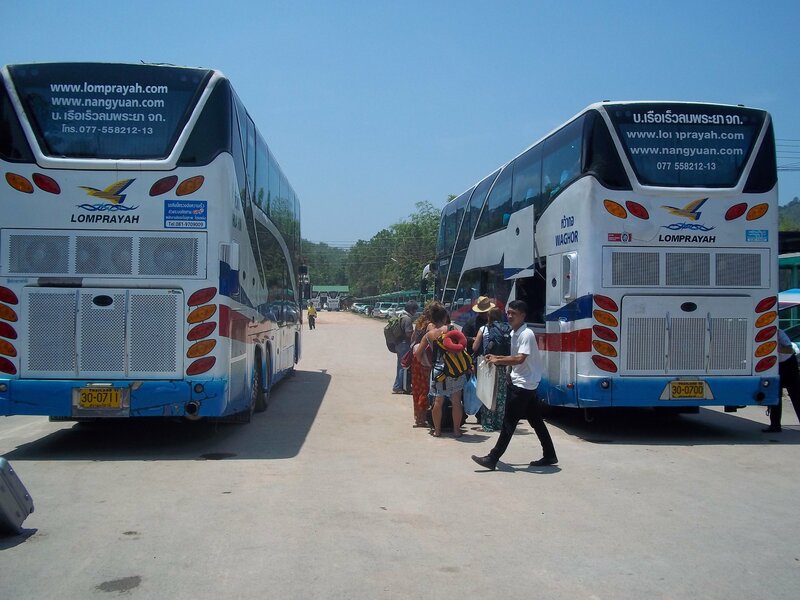 People in the North Eastern Region of Thailand normally go to bed early and get up early, and the early morning noise is normal for this part of the country. You can forget about getting a meal in restaurant after 19:30 in the evening as all the restaurants in Sakon Nakhon shut at 20:00. If you plan to stay in Sakon Nakhon you are well advised to adjust your body clock accordingly. All the rooms at the Imperial Sakon Hotel have a fridge, air-conditioning and cable TV. There are English and French language news channels but no film channels. Rather annoyingly the hotel had put a lock on switching the language on channel 29. For those of you unfamiliar with channel 29, its a free to view cable TV channel in Thailand which you can switch from Thai to the original language of the film or programme using the menu option. The WiFi in my room was also at times weak largely because I was unlucky to have a room a long distance from one of the routers in the corridor. The air-conditioning worked well, however, and fairly hot water came out of the shower. The bathroom was clean and the toilet flushed properly. Everything worked fine in the room which doesn’t always happen in hotels in South East Asia. 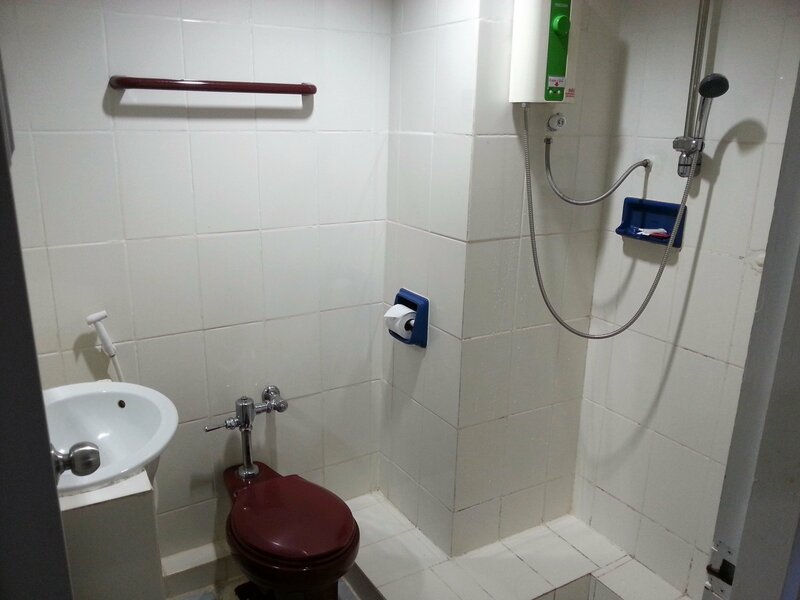 The rooms at the Imperial Sakon Hotel are certainly not the best I have stayed ay in Thailand, nor are they the worst. Better WiFi and access to English language film channels would have improved my experience as there is not a lot to do in evenings in Sakon Nakhon, but for 450 THB a night you can’t really expect a lot more. Its a budget hotel with something not far off a 3 star standard room. Imperial Sakon Hotel has two separate buildings with large function rooms which, unless you are planning a wedding reception or a conference for several hundred Thai staff from the region, will mean very little to anyone staying here at the hotel. The Imperial Sakon Hotel also has a restaurant, open to the public, next door to the reception. This is where breakfast is served. I have to admit I didn’t fancy going in as this is one of those restaurants with large tables that serves big portions meant for sharing amongst a group. Again this is a cultural thing, as the majority of people staying the hotel are Thai visitors travelling in large groups and this type of restaurants suits their requirements rather than those of the occasional foreign visitors who turns up alone or in a couple. There are plenty of other places to eat nearby. The reception area at the Imperial Sakon Hotel is nicely decorated but the corridors and stairways are wide and white. 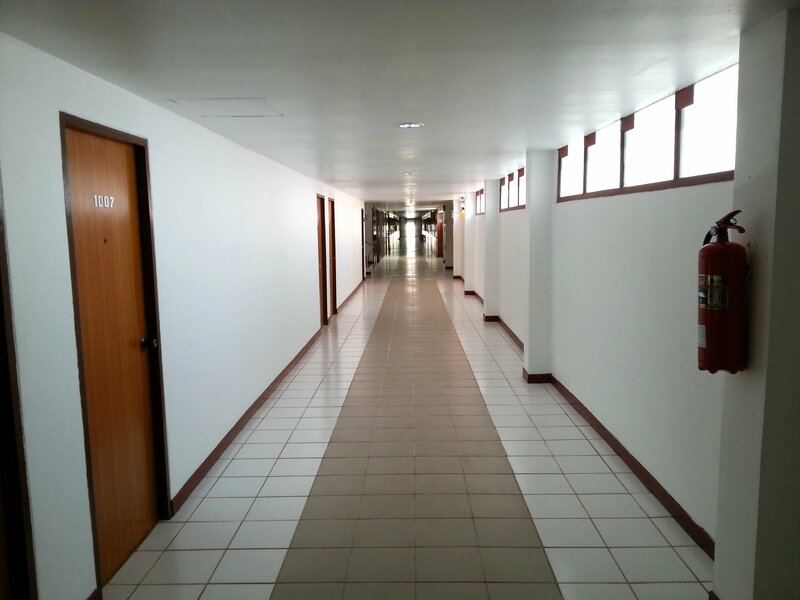 The corridors reminded me of some horror movies I have watched set in old fashioned asylums. If the hotel ever planned to go upmarket it would need to carpet the hallway and put some decorations on the walls to make it feel like less of an ‘institution’.